LAS VEGAS (AP) -- Saint Mary's ended the nation's longest winning streak and Gonzaga's six-year reign as West Coast Conference Tournament champions, grinding out a 60-47 victory in the title game on Tuesday night. 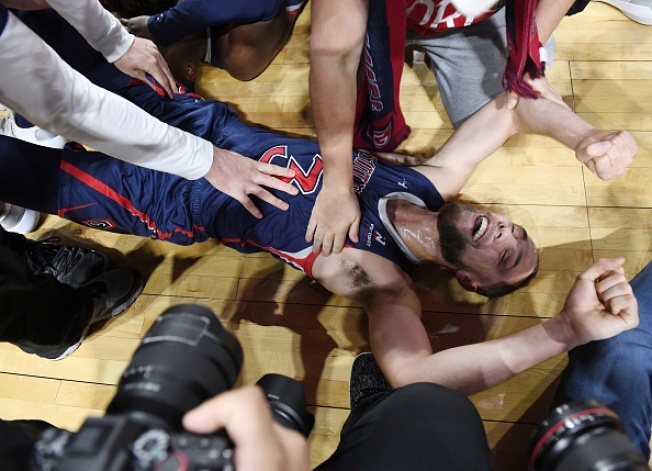 Instead of waiting for Selection Sunday, Saint Mary's left no doubt by earning its first trip to the NCAA Tournament since 2017 with its first WCC title in nine years. Brandon Clarke led Gonzaga with 16 points and Hachimura was held to nine, nearly 11 under his average. The Bulldogs cruised into their 20th straight title game under coach Mark Few - and 22nd overall - by crushing Pepperdine 100-74 in Monday's semifinals.